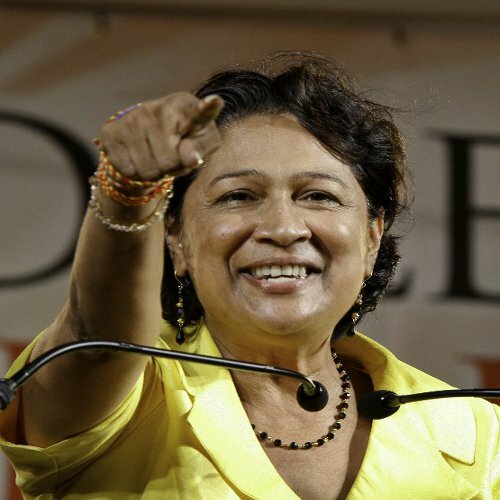 First, the good news: Kamla Persad-Bissessar has stepped down as Minister of the People—a possible concession that she has no idea what the people of Trinidad and Tobago want anymore. And the bad news? She is still Prime Minister. Something like cricketer Daren Ganga in his latter days when he was the specialist captain of Trinidad and Tobago but contributed little else with bat and ball. The difference is Trinidad and Tobago were the undisputed limited over cricket champions of the region at the time and could afford a player who was part-spokesman, part-motivator, part-window dressing but no longer the steady opening bat of his heyday. Let’s just say that at least the RMS Titanic’s captain knew when to sound the distress signal and initiate evacuation proceedings. Persad-Bissessar is shuffling deck chairs instead and asking passengers if anyone wants some extra ice in their drinks. How bad are things in Government right now? When Captain Peacock, the self-professed Lone Ranger or, by his Christian names, Gary Griffith, can claim moral superiority and excess integrity amongst any gathering of people, you know it is time to send in a trained exorcist. Tonight’s press briefing by the Prime Minister was as bizarre as they come. 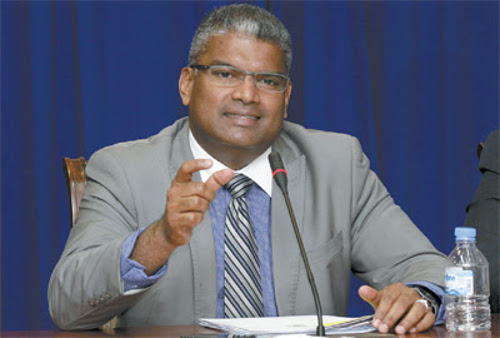 First, she claimed to have demanded and received the resignation of Anand Ramlogan in an effort to spare the office of Attorney General from controversy that might diminish public confidence. It was a point that might have been made immediately after the Section 34 scandal, almost three years ago. Since then, Ramlogan has done everything short of deliberately sabotaging oil prices and kneeing Wayne Kublalsingh in the groin. That horse has left the stables so long that it is probably part of Singing Sandra’s hairdo. Oddly, Persad-Bissessar’s sharpest criticism was not for Ramlogan but for Griffith, Police Complaints Authority (PCA) director David West and Opposition Leader Keith Rowley instead. Griffith was apparently supposed to tell the Prime Minister that Ramlogan allegedly asked West to withdraw a witness statement in a libel matter involving Rowley before West himself had officially reported the matter. Whatever one might reasonably expect from Griffith, surely precognitive powers is not one of them. But I suppose the Prime Minister felt Griffith should have felt comfortable enough to tell her regardless. I mean look how well that worked out for the former solicitor general Eleanor Donaldson-Honeywell in the prison scandal, the policemen who snitched on Reshmi Ramnarine’s patchy CV and ended up being subjected to polygraph tests and, another casualty tonight, Minister in the Ministry of Works and Transport, Stacy Roopnarine. West, according to the Prime Minister, was guilty of a conflict of interest because he had a matter before the police while serving as PCA. That one needs careful examination. 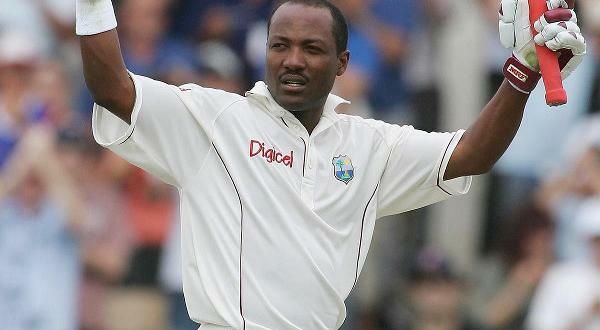 The AG allegedly offered him an inducement in exchange for the post of PCA director. Now if West accepted the AG’s terms, he would obviously have been unfit for office. And, if he declined the terms and said nothing he would have concealed a crime and thereby been unfit for office. But, according to Tanty Kams, if West declined the terms and reported the matter, he is still unfit for office for having reported a crime while working in a field that encourages people to do just that. In some secret dungeon, Mr Live Wire is certain that Logic is being held captive and tortured nightly by this administration. But let’s head West again for a moment. 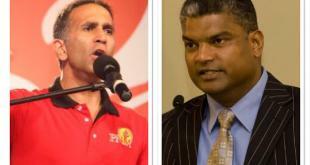 Did Persad-Bissessar really accuse him of a conflict of interest for merely being a witness in someone else’s mess? 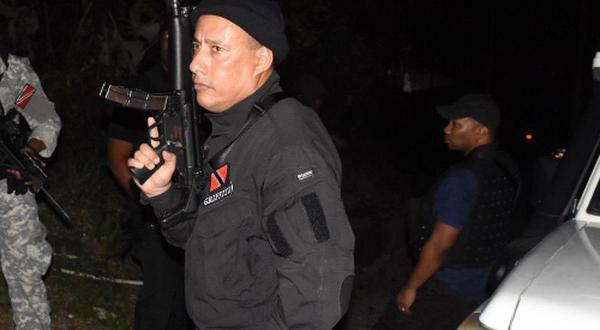 Is this the same Prime Minister who previously appointed Jack Warner as National Security Minister while he was under police investigation for possible money laundering due to his role in the Mohamed Bin Hammam scandal? Or the Prime Minister who, at present, has Larry Howai as Finance Minister while he is implicated in alleged insider trading from his time at First Citizens? Or the Prime Minister whose future Sport Minister Brent Sancho still has a legal matter pending against his ministry’s biggest sporting body, the Trinidad and Tobago Football Association (TTFA)? Mr Live Wire could point out the fact that the Prime Minister is also under police investigation for her alleged role in a string of offences highlighted in “emailgate.” But that feels more like irony. In the Prime Minister’s less illustrious moves tonight, Embau Moheni (Minister in the Ministry of National Security), Justice Minister Emmanuel George and Senate president Timothy Hamel-Smith were all put to pasture. And the fact that Hamel-Smith is walking rather than House Speaker Wade Mark really says all one needs to know about whether her latest Cabinet shuffle had anything at all to do with quality governance. It is musical chairs on the Titanic. Retired Brigadier Carlton Alfonso is Minister of National Security, Christine Nawal Hosein is Minister of Social Development and the People, Legal Affairs Minister Prakash Ramadhar is now Justice Minister as well and newly elected NJAC leader Kwesu Mutima is Minister in the Ministry of Works and Infrastructure. The replacement of Rupert Griffith with Sancho is an odd one. Neither time nor oil money is on Sancho’s side to make much noticeable impact in the Sport Ministry over the coming months. 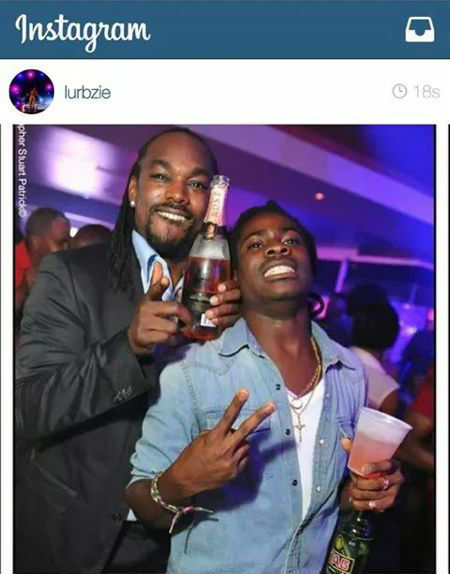 Photo: The new Sport Minister Brent Sancho (left) presumably got tips on handling Anil Robert’s portfolio from, eh, DJ Lurbz. 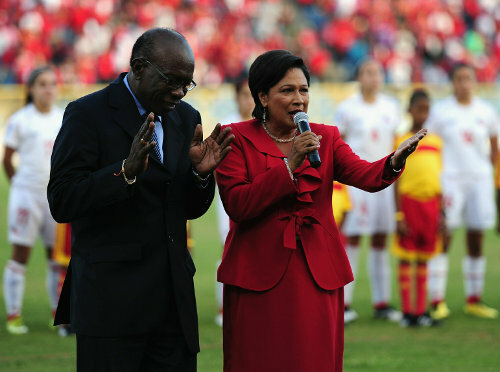 Perhaps Persad-Bissessar thinks Sancho, a decent and articulate fellah who is also the managing director of Pro League club Central FC, can give Jack Warner a run for his money in Chaguanas West. To which Mr Live Wire would ask the Prime Minister: Have you seen the attendances at Central FC’s matches? Like Sancho, Alfonso’s introduction is probably a vain attempt to add the appearance of respectability to a post that none of her senior ministers would have dared to touch this close to an election. Both gentlemen are knowledgeable about their respective fields and one can only wish them well. And the new holder of the lofty portfolio of Attorney General? He is none other than the thoroughly unexceptional Gavin Nicholas, whose first job under this administration was the extremely modest post of Press Secretary. Nicholas was so unremarkable at the job that he was replaced in the first Cabinet shuffle and shipped off to London. At the time, the Prime Minister felt that Jamal Mohammed—arguably the first minister in history to literally record his own stupidity in the Hansard—was an improvement. Allyuh better get me a lifeboat and jacket oui! Of course, the always talkative Griffith will steal the headlines now after Persad-Bissessar gave him the gift of martyrdom. Suddenly, the hapless former National Security Minister is no longer a figure of ridicule. 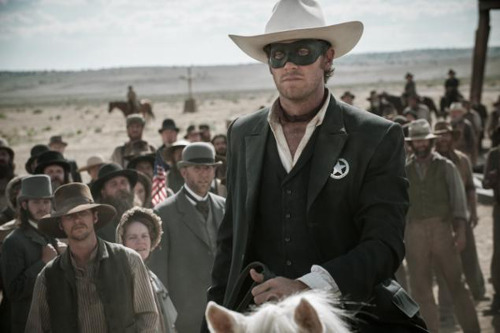 Photo: I’m riding West. Who’s with me?! Griffith has never seemed so wonderful as in his departure. Perhaps the Prime Minister should take note. 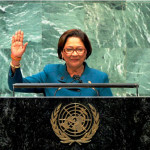 Kamla gestures hypnotically, as the people eyes rubbing and ears throbbing are being told to observe that the ship is not sinking but to stand in awe and watch the ascension of the iceberg. I just read this and couldnt stop laughing. This government is a big circus! I really need to get popcorn cause the real show just starting ah feel. Since Griffith was the only one to surrender his laptop in the email gate enquiry…it will be interesting to hear what he will reveal about the alleged emails….now we will see how truthful the Lone Ranger is….Perhaps he may also reveal information about the 30% minister..? she never was a people person,and like a cat in water she is grabbing for straws, what you have to go and call dr keith in your deck of cards for and punish the man who was placed in your dek and did the right thing by going to the police so to avoid no cover up are you not fedup well we the people are and to finish it off that joke for min of sports you serious you just pay him off and then turn an hire him haa you is a real joke miss bissessar. Ask the Prime Minister if she felt justified in attaching some weight to David West’s witness statement then. Poor fella in a bind. Not musical chairs nah! More like pin the tail on the donkey! The appointment of former national footballer Brent Sancho as Minister of sport sends a good signal to the athletes of Trinidad and Tobago. 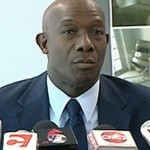 Minister Sancho is to be commended for accepting the position in what can be best described as challenging times for Trinidad and Tobago Sport given the macro economic reality of falling oil and gas revenue , the recent life sport scandal and other systemic issues bedeviling and hampering local sport. In welcoming the new Minister of Sport there is confidence that his experience as a national team sport athlete , a professional footballer, managing director of Central FC, his advocacy for player rights will give him the context and commitment to make decisions that are in the best interest of sport and the athletes. In addressing some of the major problems zero tolerance for corruption and poor governance will be essential success factors. On behalf of the Trinidad and Tobago Olympic Committee (TTOC) I welcome the new Minister of Sport and extend best wises to him for a successful , progressive and forward thinking tenure. I’m convinced the AG called for the other heads in order for him to go and i’m also convinced he manipulated the entire parody which took place last night. They learnt well from the former PM. Use of weapons of mass distraction of which the gullible in our society is easy prey. The timing was perfect. Carnival season is their time for their modus operandi. Remember Kamla was removed as the Attorney General and replaced with Ramesh L Maharaj during carnival week under the UNC? They seem to think we are ALL fools but they’re so stupid it hasn’t occurred to them as yet that they are self imploding. The masses will wake up on Ash Wednesday and Mr West will not allow them to assassinate his character without a fight. The baccahnal only now start. Lasana Liburd, you mean the ugliness of a cabinet reshuffle? Need i say more than de………? lol…..
What a tangled web we weave, when we first conspire to deceive. Well it’s either they trying to bring down the gov, or they working under the instruction of the former AG!! I believe that Sancho’s first decision is critical and will serve as a good indicator about his leadership as Minister of Sport from the standpoint of ethics/integrity to minimize potential for corruption allegations (conflict of interest) . He must disconnect from Central FC leadership immediately. If he does not then he is no different than former Minister of Sport (National swimming coach) and former Permanent Secretary of Sport (owner of track club). Not only dat, how come it takes 6 months for stuff to be entered into court records? But the thing about it is that Ram Goat knew that West was a witness in the defamation law suit against Rowley before West was offered the appointment!! So we have to wonder why he didn’t stop Kamla from appointing West if the feeling is that West is for the PNM? I say Ram Goat was trying to wield and deal to get himself out of trouble as is his usual modus operandi. However, this time, it backfired on him!! 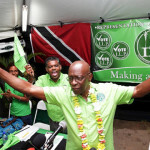 I’m not a fan of Jack Warner, but he has a knack for stringing together some effective phrases. 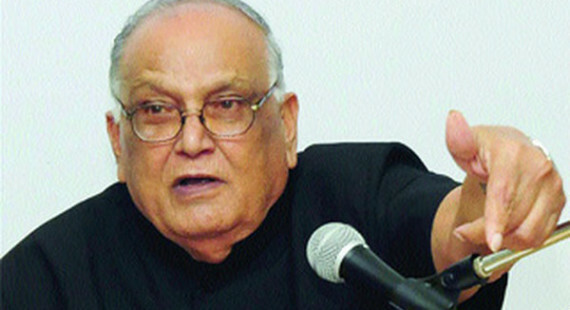 He said the PM just put together “ah pick-up side” to run them through the pending elections. Everything is Rowley fault, allyuh didn’t know dat? 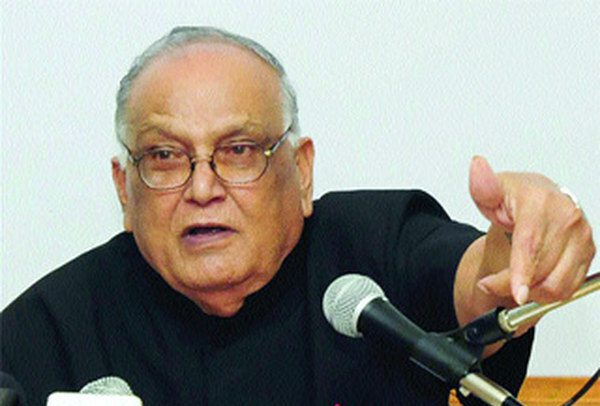 It is alleged that logic is also being abused daily by the leader of the the COP.